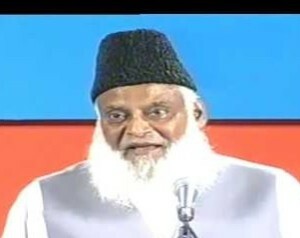 Dr. Israr Ahmed, one of the most prominent scholars of the subcontinent passed away in 2010. He was blessed with great analytical ability and sublime oratory skills. Through his contributions that remain with us today (in the form of essays, booklets and audio visual lectures), it is clear that he wanted progress in the understanding of Islam. He frequently used the tools of science and humanities to unearth the gems in the Quran. One of his notable contributions to political thought was the “Theory of Revolution” which he derived from a systematic analysis of the prophet Mohammad’s (PBUH) life along with the study of many other revolutionary movements in history. This theory was also covered in a Master’s thesis by Ms Shagufta Ahmad, titled “Dr. Israr Ahmed’s Political Thoughts and Activities” for McGill University (Montreal,Canada). Dr Israr Ahmed insisted that any revolutionary movement that tries to bypass the five mentioned phases, is unlikely to succeed. 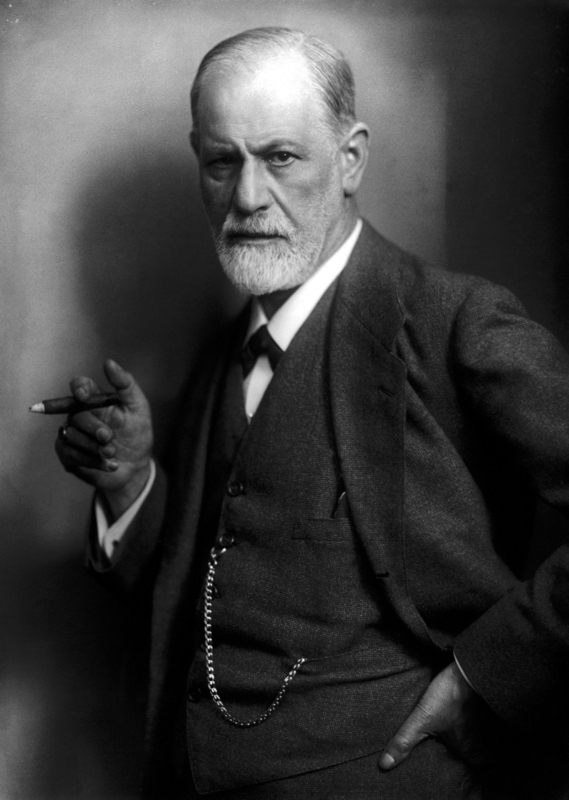 Thus it can be said that his theory of revolution is not just a template but a framework for the successful transformation of a society. Any revolution begins with the idea of an alternate vision or the need for a different course of action. This vision / plan of action, must be well founded as it should aim to redress the flaws and shortcomings of the incumbent system. Therefore development of a counter narrative is not an overnight process but is an evolutionary development. It can span over a period of years if not months. Once a clear vision and roadmap by is forged by a rigorous thought process, than its propagation and acceptance becomes much easier. A narrative that is based on sincerity and truth naturally strikes a chord with its audience. Dr. Israr points out that although a strong counter narrative does not need a passport to travel but efforts should be made to ensure that its spread is far reaching. If we look at Prophet Mohammad’s (PBUH) life, the start of his prophet hood to his passing away covers a period of 23 years. The majority of this time was spent in formulating and dissemination of an alternate system that challenged the status quo. Once the narrative catches on and finds support among people, the time comes for the second phase i.e. passive resistance. Any group of people with revolutionary ideas is likely to be on the cross-hairs of the incumbent system, which will actively try to inhibit them. It is important that initially any effort to suppress the movement must be dealt with passively. Retaliation to the severest blow in any shape or form should be absolutely avoided. The passive resistance phase strengthens the resolve among the followers and builds up a critical mass that eventually passes the Rubicon. Hardships were endured by Prophet Muhammad’s earliest companions, that included torture but acts of defiance were not followed up by retribution of any form. Restraint was exercised to avoid confrontation. Migration to Abyssinia was preferred when persecution started. Active resistance against a system begins with non-compliance. Acts that will inadvertently result in a breach of peace are instigated by the revolutionaries and the onus of restraint is now on the incumbent. The phase of active resistance can be triggered by any symbolic event, significant or minor. During the Tunisian uprising of 2010, the civil resistance started with the self-immolation of Mohammad Bouazizi. The street vendor set himself on fire in protest in front of the authorities. This came at a time when anger in Tunisia was simmering due to high unemployment, food inflation and rampant corruption. The period of active resistance in the life of the prophet started roughly from 616 CE i.e during his later years in Mecca. One of the first acts of active resistance witnessed was when Muslims decided to pray in front of the Kaaba rather than in the confines of their homes. They were meted with duress from the tribal chiefs. The whole clan of Banu Hashim was boycotted and exiled to Shaib abi Talib, a valley in Mecca. Later on, plan to eliminate the holy prophet was scripted. An armed squad was sent which the prophet (PBUH) was able to elude. As the revolutionary movement grows, a final confrontation or showdown with the existing system is inevitable. For the successful outcome of the confrontation, it should be ensured that revolutionaries stack up both in numbers and zeal. Confrontation phase is merely a battle in a long drawn process that is akin to climax in a story-line. However, even success in this phase does not guarantee a transformation. Further work is required for consolidating the gains. During the time of the prophet, confrontation event was the conquest of Mecca, which was achieved without much bloodshed. The lead up to this stage though was as built on the 23 years of tireless effort by nabi Mohammad (PBUH). Dr. Israr points out that flames of any uprising will be extinguished if one moves hastily through the phases of active resistance and confrontation. And sadly, this has been the case with many unsuccessful political movements. Once it becomes clear that the surge of revolution cannot be stopped and the system will be overthrown, it is natural that the status quo beneficiaries would either seek amnesty or go into hiding. Many elements in the society would not whole heartedly accept being knocked off the perch, in particular those whose stakes are high. Given the opportunity, they would seek to strike back in cold. Dr. Israr called such elements “Counter Revolutionary Forces”. It is extremely important that the newly found system consolidates itself and is prepared for the danger that lurks in the shadows. A good example is the Egyptian revolution of 2011 that started in Tahreer square. The ousted dictatorship was swiftly replaced by a democratic system. However, the people led government was toppled back by the armed forces in less than an years’ time. Therefore, countering the counter revolutionary forces is important for any revolution to succeed. Going back to the life of the prophet, some of the counter revolutionary forces were dealt by the prophet himself in his brief life after the conquest of Mecca. After his passing away, these counter revolutionary forces began to surface with a renewed vigour. So it was during the reign of Abu Bakr that supporters of false prophets were taken to task. Within the Arabian peninsula, claims of prophet hood were made by Musaylimah , Tulayha and Sajah bint al Harith ibn Suaeed. Wars were waged against them (Ridda wars) and against those who started denying Zakat. Dr. Israr Ahmeds lecture on “Martyrdom of Prophets Grandson (Shahadat- e- Hussain)” explains the “Theory of revolution” in detail. Many revolutions die out prematurely because in haste people try to sidestep the evolutionary way. There is no short cut to change. Only a narrative that provides a fairer alternate and wins the hearts and mind of people, if pursued with patience and perseverance will lead to a successful turnover. For any student of political science, Dr Israr’s theory of revolution provides invaluable framework for studying history. So is Imam Hussain’s revolution a “pre-mature” death according to Israr Ahmed? One of the thing that leads to unnecessary conflict is reading too much or exaggerating and extrapolating. Please hear his lecture on Shahadat-e-Hussain where he has paid his utmost respect.